Renowned ​Italian ​superbike maker Ducati has been testing its V4 superbike for quite sometime now. The motorcycle will make its entry as a replacement for the company’s respected Panigale that has done wonders time to time. The company announced the V4 superbike earlier this year in January at the 2017 MotoGP team launch in Bologna. 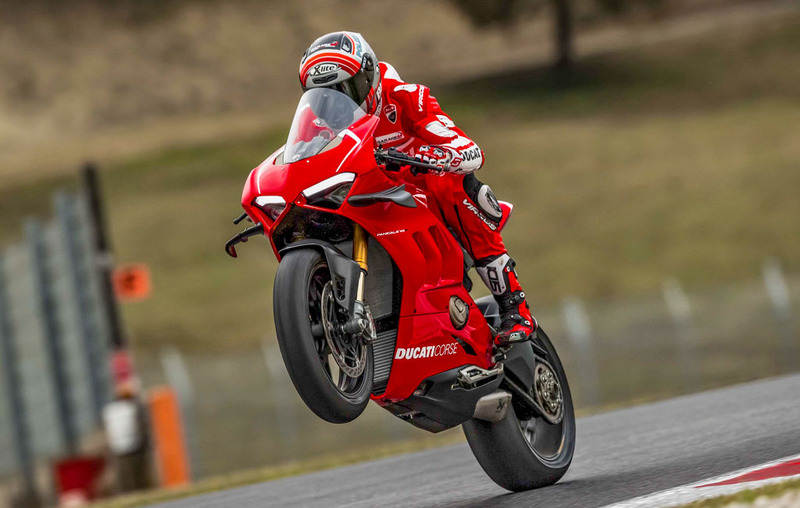 Ducati also launched the Panigale Final edition in order to bid goodbye to ​the​ famed name recently. Now, a few details of this upcoming Ducati V4 superbike have been revealed in a video on YouTube. The 45-second footage unwraps the exhaust note of the motorcycle and we recommend listening to it in full volume via earphones to get the ​proper ​feel of it. Going into further details of Ducati’s new V4 powerplant, the engine has been christened Desmosedici Stradale. The engine comes with a 90-degree V4 configuration, featuring desmodromic valves along with a unique firing order. ‘Stradale’ stands for road and hence, it can be safely assumed that this engine will be employed in the company’s upcoming Supersport street model. The design of this Ducati V4 superbike has been inspired from the company’s MotoGP Desmosedici race model. The engine will have a power output of over 200 bhp even on the road legal variant. Currently, the Aprilia RSV4 is the only proud superbike in the world that comes fitted with a V4 motor and is deliberately worshipped for its spectacular exhaust note and ferocious performance. Now, with Ducati working on a similar engine, hopes from the brand are really on a high.